Yet another stab at the fabled solar panel mount. 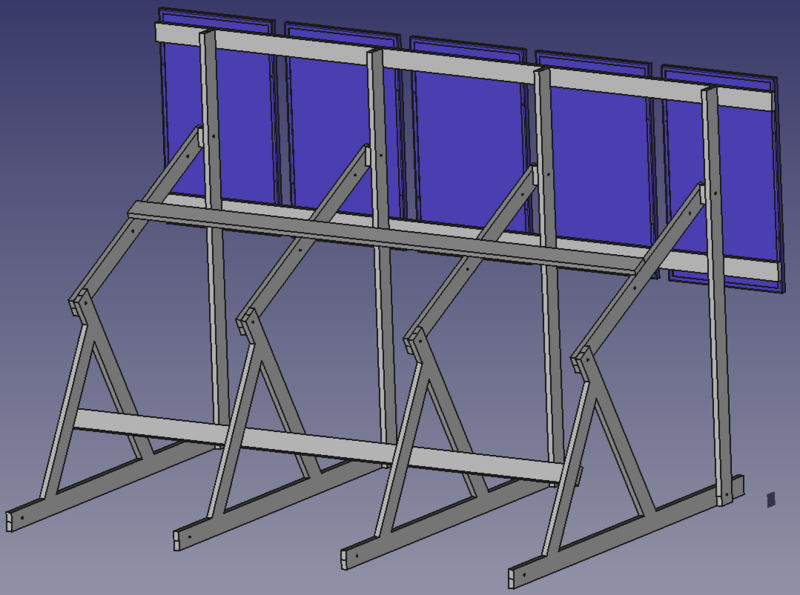 Major differences from last time are moving the pivot forward, adding a way to pin the adjustment bar to the bottom bar when the array is in the lowest/summer position (hence the second, rear hole), and mating the adjustment bar with the center of the panels rather than below them. Hopefully this makes the torque at the top hinge much lower.